Worshippers at Aylsham Parish Church are being asked to take their phones to services and use their handsets to answer questions which are displayed on a projector screen. 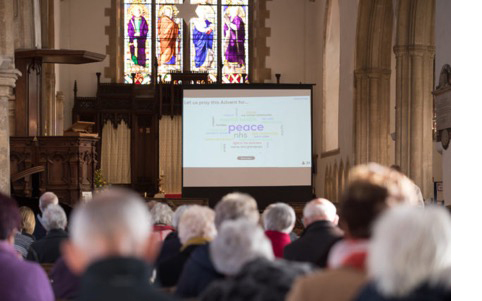 The Revd Canon Andrew Beane is the first vicar in Britain to incorporate the online, interactive presentation platform Mentimeter into his sermons as a way of engaging with his congregation. The church already offers its congregation free internet access through a scheme called WiSpire, and has TripAdvisor, Facebook and Twitter pages. It has used the voting app in three services to date and plans do so at future special events. "This combination of Mentimeter technology and the church sermon really is a match made in heaven. Our platform is all about making presentations stand out and so it’s fascinating to see Andrew use our technology to give a voice to his congregation and help them think deeper about the questions he is asking. "Technology is meant to empower and enrich our everyday experiences, and helping people to connect with their spiritual teachings feels like a hugely positive adaptation of our platform." 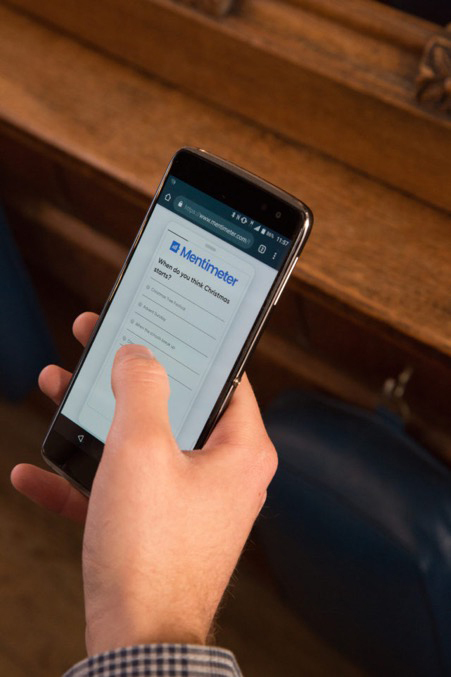 The app is more commonly used in boardrooms of companies such as Microsoft, McKinsey, and the Bill & Melinda Gates Foundation, and allows a presenter to ask a group of people questions before answers are collated via smartphone in real-time and displayed. Andrew said he is considering asking his congregation “How was my vicaring?” via the app. "Sometimes people will say ‘Oh, thank you, vicar’ and you don’t always get that honest opinion. This time people can say ‘I found that really challenging or difficult’."